Burger Bite | Izzy have you eaten? Sunday night dinner? Here’s another old favourite. Why is a hamburger just so satisfying? There’s something so straightforward and honest about it that hits the spot when you just feel like something filling and comfy. Always good and absolutely simple, but a few must dos to make sure it is always yummy.. …. While you can make it as simple as the basic recipe I am setting out here, you can add paremsan cheese like Jeremy does, chopped flat leaf parsley, a sprinkle of breadcrumbs, a couple of beaten eggs. Whatever you do, don’t stint on the chopped onion- it gives it a flavour that can’t be beaten, and a rough chop makes the burger more textured, which is nice to chomp on! You get good results from mixing beef and pork mince- so stick with that formula for that familiar home made taste. If you want the texture of the patty to be ‘lighter’ add a quarter of a cup of bread crumbs and a beaten egg or two to the mix. Dad loves his burger in a sourdough bun. Staggering back to campus in the wee hours, my uni friends and I would sometimes stop at the food truck by the Drill Hall Gallery and order a burger. It came with a fried egg, and slices of tinned beetroot. These days I find all of that a bit overwhelming to wrap my mouth around, and like my patty on a salad. Makes for a nice packed lunch too, dont forget.If you want to really dress up your burger, serve it in a nice bun ( crusty on the outside, soft on the inside), with a thick smear of goat’s cheese, some mint leaves, baby arugula and a relish made of pickled beetroot. VERY yummy. So while I know you dream of In-n-Out burgers from the drivethrough at Westwood ( so do I, occasionally!) 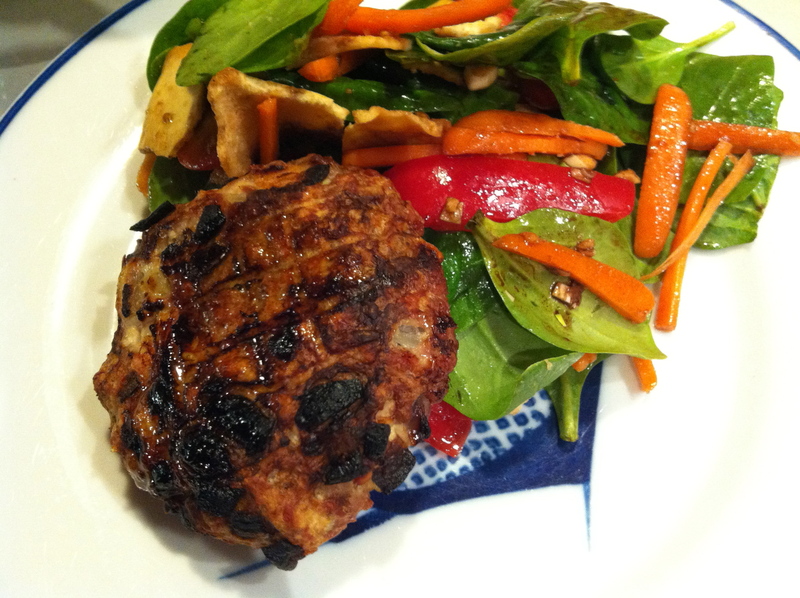 here’s a burger recipe you can try at home. Cheers, darling. 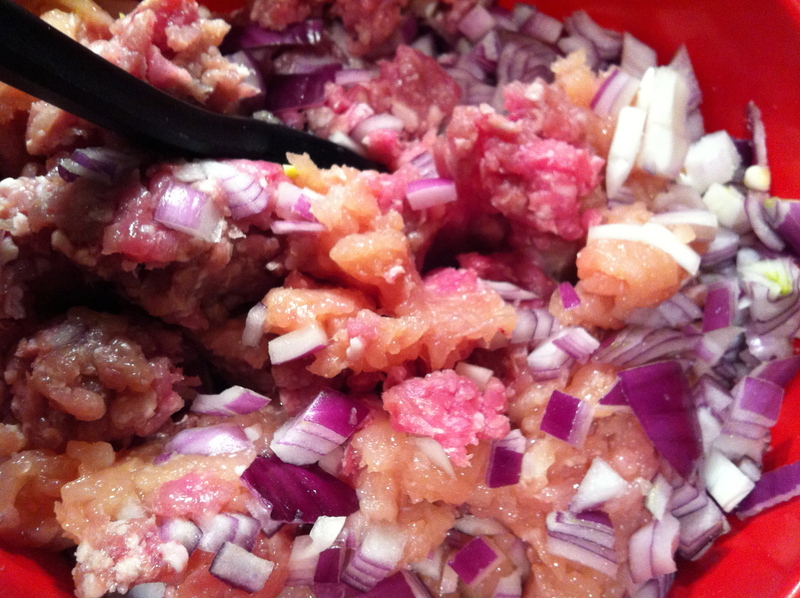 Mix the minced meat together with the chopped onion in a large bowl. Add salt, about 2 teaspoons, and cracked pepper and mix well. If you are inspired to add the other ingredients mentioned (parmesan, breadcrumbs, parsley, etc) do so at this point. Form meat into tennis ball size shapes. gently press flat between your palms to about 1 inch thickness. place on a greased grilling rack and grill on a medium to high heat until golden brown and then turn over and cook on the other side as well. 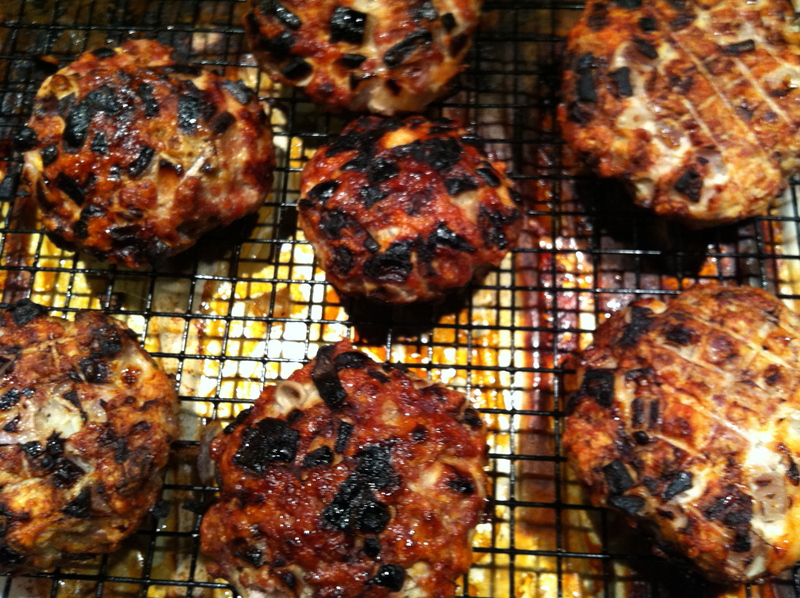 You can store the extra patties in an airtight container for a few days in the fridge or even freeze for a week. This entry was posted in GROUP C, Uncategorized and tagged Buns, Burger, Drill Hall Gallery, Mince, Sunday by tgb9593. Bookmark the permalink.